Watch band too big? 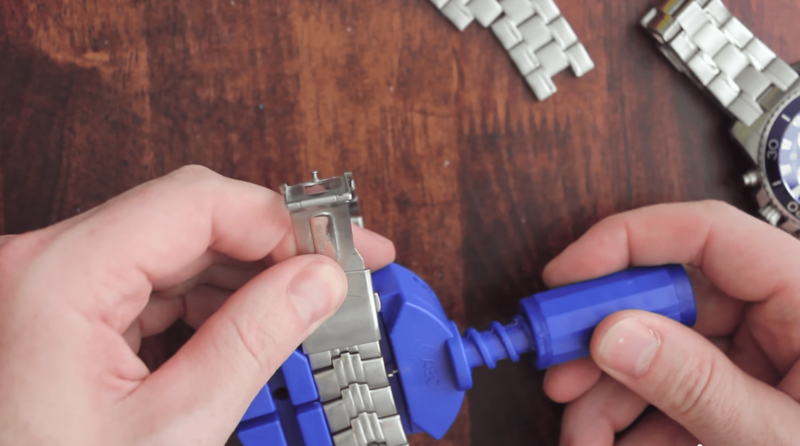 Here are two ways to get that sweet new time piece fitting perfectly in no time. The first method uses items you have around the house and just takes a few minutes. 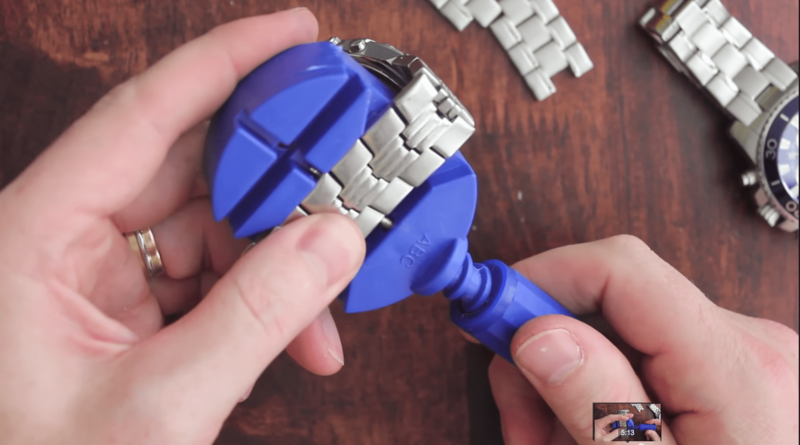 Step 1: Put the watch on and determine how many (and which) links you’ll want to remove. You might want to mark the links with some tape so you don’t get them mixed up. Remember to keep things centered; if you need to remove four links, take two from either side. 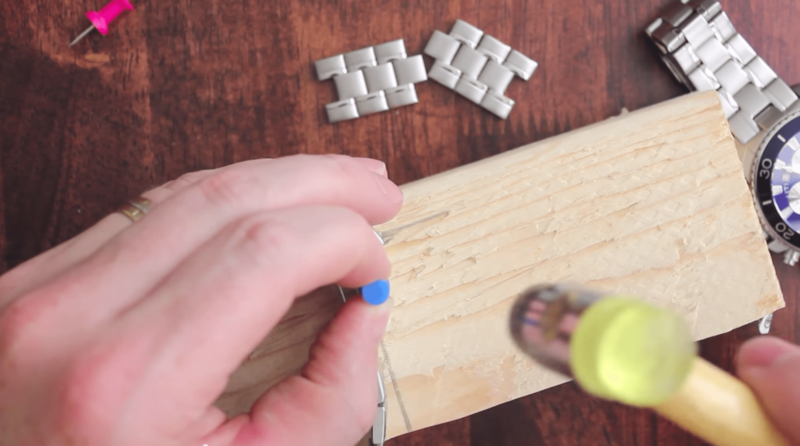 Step 2: Place the watch on the wooden block or scrap so that the link that you want to remove is either over a hole in the block or hanging just off the edge. Step 3: Line the push pin up with the first pin that you’ll be removing, then give it a good thwack. You may need to hit it a couple of times but the goal is to get it to peek out the other side, enough that you can get a hold of it with the pliers/tweezers. Step 4: On the other side, pull the pin all the way out. Put the pin somewhere safe where you won’t lose it. Step 5: Take out all of the links you need to. Step 6: Now for the glorious finish! Line the trimmer watch band back up and put the pins in part way until you can get them to line up perfectly. A couple more thwacks with the hammer and you’re good to go! Check both sides to make sure the pins are flush in the band. Pokey pins snag on everything. 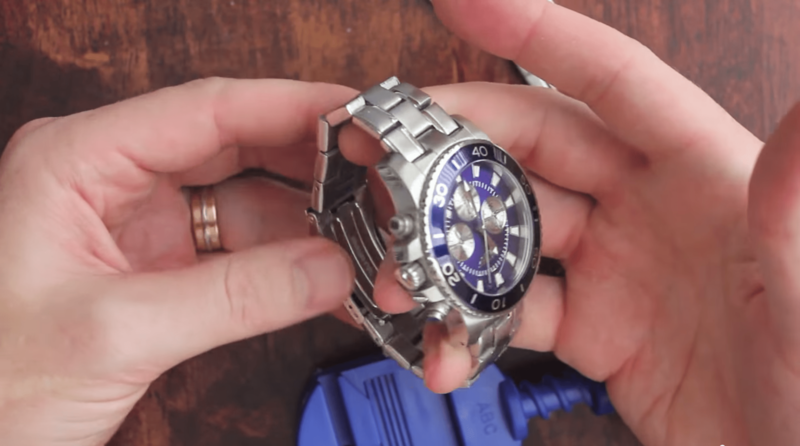 If you are feeling wealthy and have a few days’ notice before you have to adjust your new watch, check out method #2. 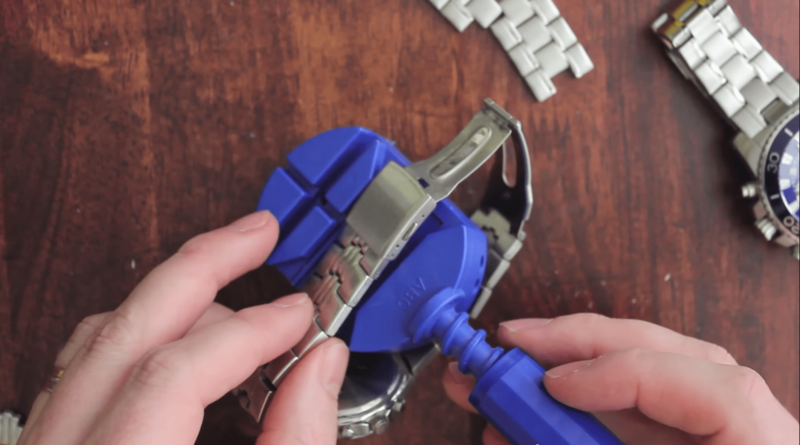 If you’re not comfortable thwacking push-pins, it’s time to buy a nice little Watch Link Remover Tool (about $6 USD) or even a Watch Repair Kit (about $7 USD). I’m linking to ones that are available for Amazon Prime because some of the really cheap ones take weeks to arrive. Step 1: Refer to Step 1 above. Step 2: Put the watch band in the remover tool and line the pin up with the knockout pin. Step 3: Twist the handle to push the pins out, then pull them out the other side, freeing the links. Save those links – you might need them again after the holidays. Step 4: Repeat for the other links you want to remove. 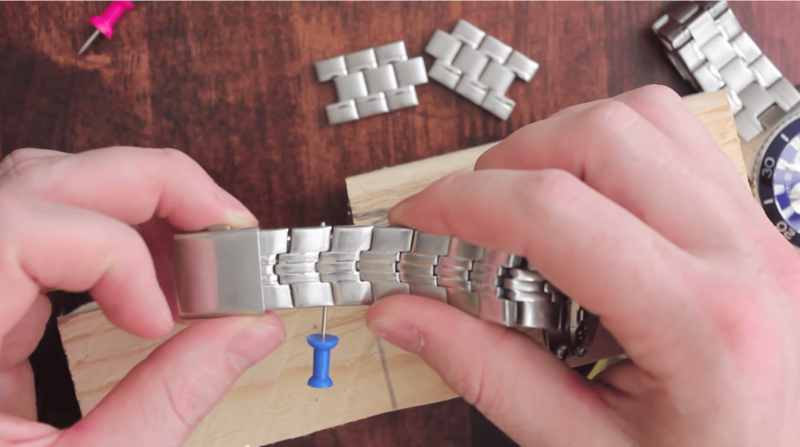 Step 5: After lining the watch back up, sans removed links, put the pins back in via the same method, just in reverse. And you’re done! Nice job, you. You deserve a pat on the back. Wear that watch proudly because you made it fit. The video below shows the whole process, using both methods. I hope this was helpful and please feel free to comment, like, subscribe and share. 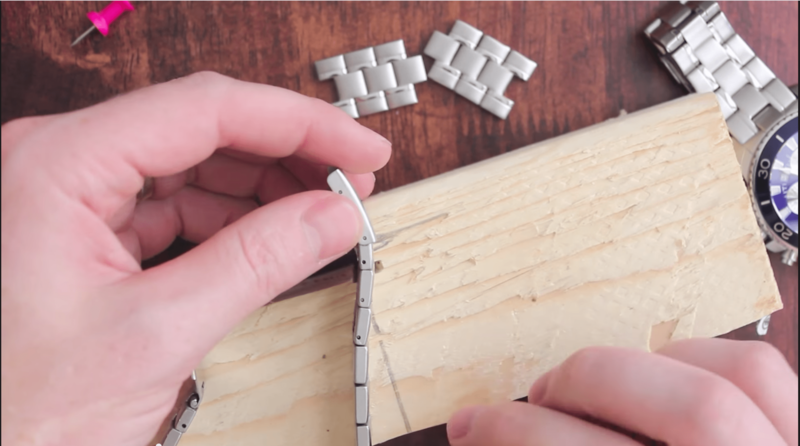 A Fixo-Flex watch band doesn’t have pins. 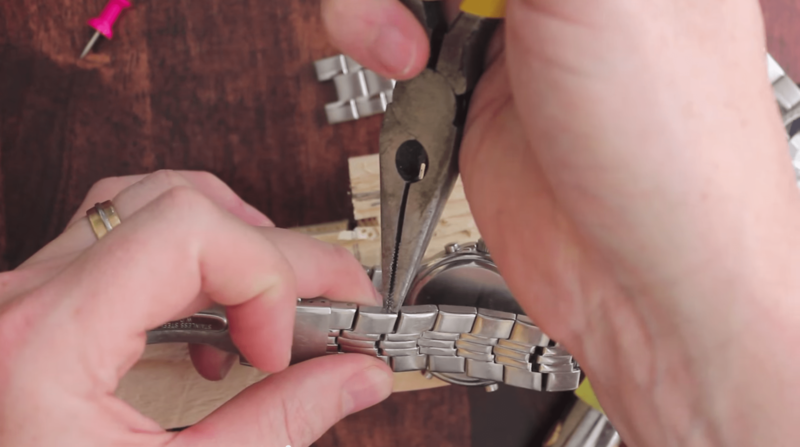 It has U-shaped clips on each side that needs to be removed to separate the watch band. Then another link(s) needs to be removed and re-insert the U-clips.